DiscountfurnaceFilter.com is the web's #1 source for the Lennox 48K98 Control Circuit Board. Order your Lennox Control Circuit Board today and receive fast, efficient, FREE Shipping on Orders Over $125 (Continental U.S.)! 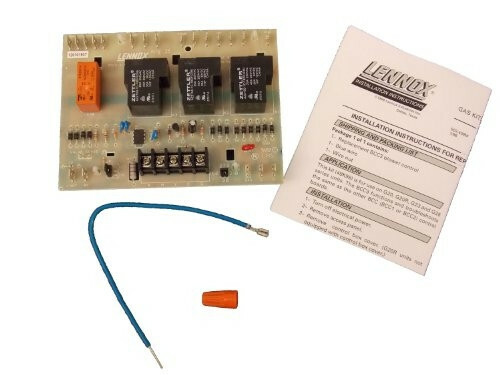 The brand new, genuine Lennox 48K98 OEM Control Circuit Board is a blower control for your furnace. This replaces part numbers: 65K29, 65K2901, LB-90089A ,78J61, 78J6101, LB-65126A, LB-87086A, 48K9801, 45K48, 45K4801, LB-89859. Lennox has been a leader in the HVAC industry for more than a hundred years. They continue their standard of excellence today, manufacturing some of the most energy efficient systems available.